Hi Macs solid surfaces is a product created by none other than LG. Though LG has it hands in the manufacturing of countless different products, they constantly strive to provide only the best quality products to their customers. LG is always learning, growing, and doing everything they can to constantly find new ways to better their products. Hi Macs can be used in practically any room of your home or business. It is not just limited to the kitchen; showers, bathroom vanities, restaurant bars, or practically any other surfacing need are all possible. It can even be used in outdoor projects as well. There is almost no limit to what someone can do; whatever the dream may be, this product can make that dream a reality. 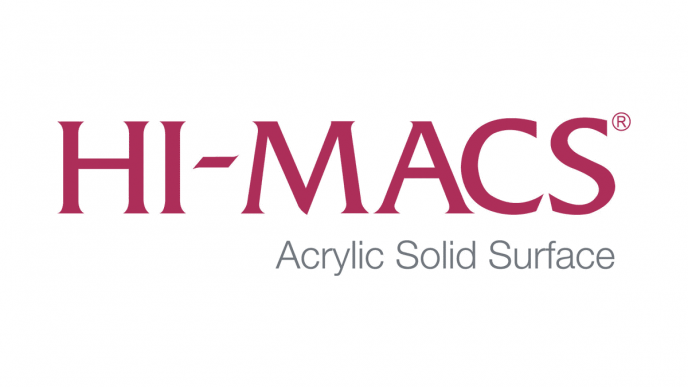 One of the most impressive aspects Hi Macs is the unbelievable variety of textures and colours available. From solid colours to granite, it is a safe bet that Hi Macs will have exactly the product for every surfacing project. If, by chance, the colour wanted cannot be found, LG have a custom colour program. More information on the custom colour program can be found by contacting Hi Macs via email. While the colour and texture options as well as the many ways you can use these surfaces is very impressive, what is absolutely outstanding is the number of safety, health, and quality certifications this product has obtained. This product has over fifteen certifications proving its safety. Hi Macs products are made to meet special qualifications so that there is no risk of bacteria growing in porous surfaces or any harmful gasses being released from the product. Whether these worktops are used in the bathroom or an outdoor cooking area, it is guaranteed to be safe. In addition, there is even a new product called Hi Macs Eden Plus. This particular product has earned the right to claim that it is one of the most environmentally friendly surface products available. Not only does it meet the same health and safety requirements as all of the other Hi Macs products, but it also largely composed from recycled materials while staying just as breathtakingly beautiful as any other acrylic surface product available. Hi Macs is a high class surfacing products that can be used indoor or outdoor, for business or residential, and it meets numerous health and safety certifications proving that it’s safe for any use. The variety of colour, texture, and style options almost guarantee that regardless the project, Hi Macs has just the surface for the job. Hi Macs is also easy to buy. Anyone who is interested in purchasing these products can find them online and at most big name retail stores, though you can generally get a much better deal as part of a full kitchen.